One of the most used appliances in your home is your hot water heater. Of course, you probably don’t give it much thought; turn the shower on and you have hot water. But what happens when you don’t? It may be time for a replacement! There are two different types of standard water heaters, gas and electric. An electric water heater can be used anywhere. A gas water heater is likely in your home if you have any other appliances such as a stove that uses gas. You can replace a gas water heater with an electric heater, however your plumber will need to make sure your circuit box can handle this. If you have to replace your water heater, you’ll probably want to replace it with the same kind you already have, however, there are upgrades available. Has your family size grown since you bought your home? Consider getting a larger capacity tank to accommodate that. New units are also much more energy efficient, an important consideration. If your unit has been repaired multiple times already, a replacement is probably in order. 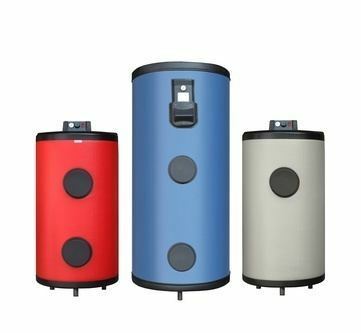 There’s no better time to cut costs on your utility bills than during the replacement of a water heater, since you can look for a more energy efficient unit. Your professional plumber can recommend a good replacement, and will be able to repair your current heater if replacement isn’t necessary. If you are needing to install a hot water heater or repair/replace a hot water heater, please call us at (352) 817-7647 or use our online service request form to reach out to us.